Hmmmm... for me, it's more about the melody rather than the composer. I don't really enjoy classical pieces that sound too happy and cheerful. But I love fast pieces and pieces in minor keys. I understand what you mean. For me it's always about the melody too. 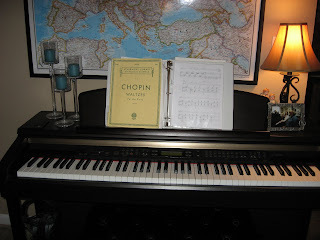 It just happens that Chopin's melodies are always the ones I gravitate toward. I don't like happy and cheerful pieces either. I'm all about the minor keys. I think that's why I love the band Muse so much - because they have a classical influence AND it seems as if all their songs are in minor keys.